We almost didn't make it on the list, but at the last minute, several of the DroneJournalism.org developers and myself were able to get on the PanelPicker for SXSW Interactive. We want to show one of the most important tech conferences in the country what Drone Journalism is all about, with a panel we call "Drones for Journalists: Reporting Evolved." We'll be taking the audience through the basics: what is a drone, how can journalists use them to cover live events and augment investigative journalism, and what's been done to this point. We'll also answer questions about ethics, regulation, and the DIY tech behind this emerging field of journalism. At the speed drone development is coming along, March seems pretty distant in the future. But we've got some pretty interesting things to show, and we anticipate even more impressive things (i.e. some brand new drone-assisted reporting that we have in the works) will happen by presentation time. We just have one problem. Many of these panels and presentations vying for a spot in this prestigious event had at least a couple more weeks than we had to generate votes (these votes count 30% to the ultimate decision). We are trying to get as many votes as possible to narrow the gap, so we can make it to SXSW and show the public what these drones are all about. Hopefully we will see you in Austin this March. Get the fire extinguisher! Drone safety, GPS spoofing, and how I learned to stop worrying and love the drone. There are certain things you expect when you're building drones for photomapping and journalism. First, you expect some setbacks. Perhaps a crash or two, or at least a few broken props. At worst, you expect a drone to take a fatal nosedive into a field and break into a hundred pieces, never to fly again. There is a learning curve to this stuff. But you don't expect your drone to go haywire and burst into flames while you're working on it. 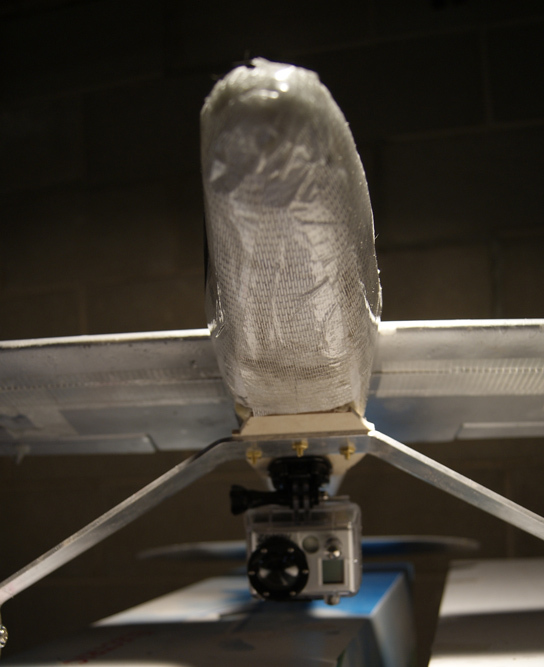 Last month, I was busy preparing an electric-powered drone in my basement for a maiden flight. With a wingspan of over 5 feet, and weighing a little over 7 pounds, it was the largest drone I've worked on yet, and it had a decent-sized power source to match. Much larger drones have flown on the same basic technology, with power sources of twice the capacity used here. Most of our development to this point has focused on battery-powered drones instead of methanol-powered drones, because we want to keep the risk of fire down (even though fuel fires are rare). But that doesn't meant that batteries can't catch fire. For my drones, I use lithium polymer batteries, or "LiPo," and they're pretty advanced as far as battery technology goes. They run today's electric cars -- the Leafs, the Teslas, the Fiskers and Volts. If you are reading this on a smartphone, you can thank a lithium battery. Most other cells are contained in cylinders, but lithium polymer cells come in individual pouches. LiPo batteries are packs of lithium polymer cells that have been bound and tightly wrapped together. What really sets LiPo batteries apart, however, is the amount of energy they can store. Whenever you're storing a great deal of energy in a compact space, and you suddenly release all that energy, you're liable to create tremendous heat. Since LiPos hold a lot of energy, under the right conditions, they can also catch fire. According to the instructions of the original balsa plane I was hacking into an autonomous drone, the motor and its speed controller required 5 LiPo cells. I did not have a five-cell LiPo pack. I did have two 3-cell packs, and one 4-cell pack (which is quite large). Thanks to fuzzy math, I somehow thought it was safe to use the 4-cell pack and a 3-cell pack, for a total of 7 cells. Everything seemed OK at first. The motor whirred happily during testing. Then I took the drone back to the basement to finish mounting and calibrating the autopilot, and things got weird. JournoDrone One had an important mission: to be a drone journalism platfom that was "powerful, durable, transportable, affordable, upgradeable and supported by a community of experts." It became a pile of foam instead. But that's OK. Drone development, especially at this state of technology, is a matter of trial-and-error. That's why myself and fellow DroneJournalism.org developer Acton Gorton are giving it another shot. We are taking all of the experience, knowledge, and goals from the JournoDrone One project and starting again with JournoDrone 2. Law enforcement agencies will be able to get drones off the ground more quickly, and also will be able to use larger drones, the Federal Aviation Administration announced yesterday. 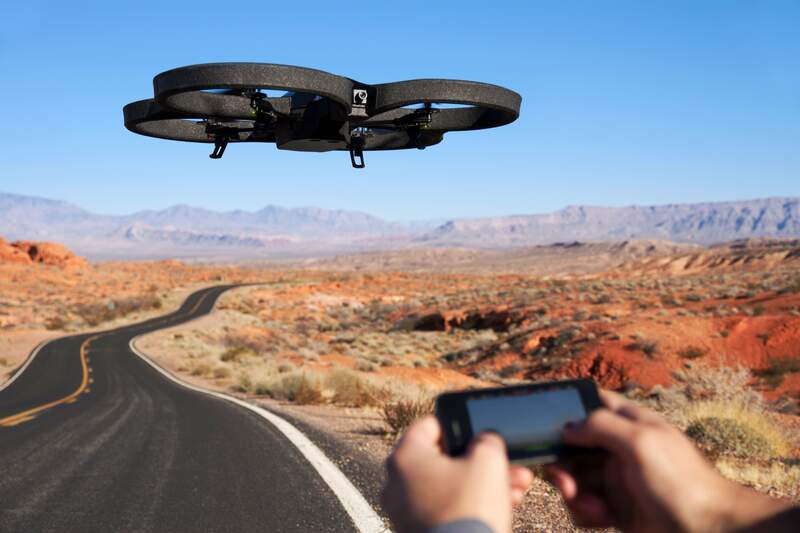 A news release from the FAA yesterday said that those agencies will be able to enter into a two-step path to authorization, and thus speeding up the process for law enforcement to deploy drones. "Initially, law enforcement organizations will receive a COA (Certificate of Authorization) for training and performance evaluation," the FAA said. "When the organization has shown proficiency in flying its UAS (Unmanned Aerial System), it will receive an operational COA." A COA provides the agency with the authorization to fly drones in the national airspace. Currently it's the only way that a government agency can legally fly a drone, which the FAA calls a UAS, and the application process isn't open to commercial industry or private individuals. Flight of the JournoBalloon: An intro to balloon photography. Also, I lose the first JournoBalloon. We almost had it. After months of research, development and heartache, DroneJournalism.org was about to have its very first aerial photographs. And while it wasn't going to be from a drone, these photos would be gathered easily and available instantly. The balloon went up, the line went out, but something didn't seem right. And then... well, in short, on Wednesday, May 2, at approximately 4:00 p.m., we almost had it. What was it, exactly? 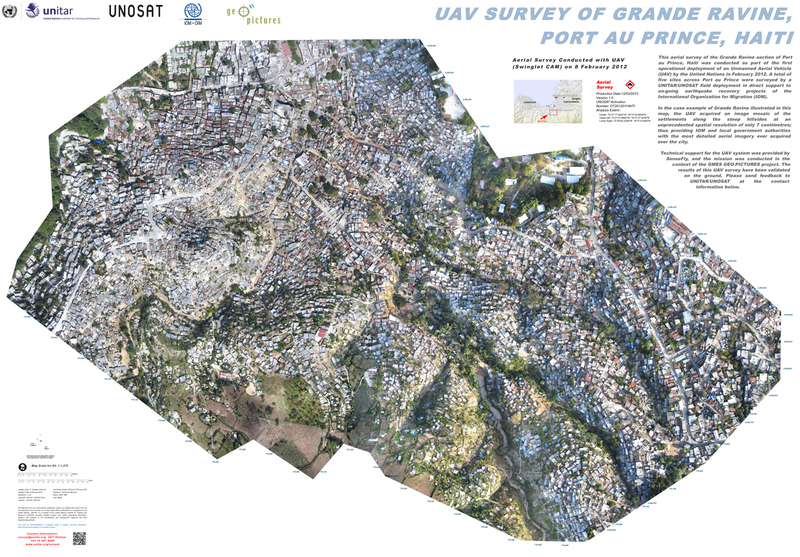 Partnerships unlock the real potential of drones, especially in drone journalism. 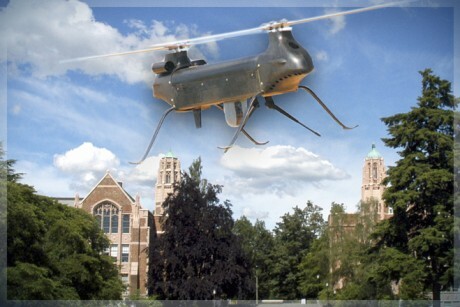 Yesterday, Salon ran a piece on the proliferation of drones at research universities. As Jefferson Morley wrote, universities are at the are at the forefront of developing the unmanned aerial systems that will be monitoring crops, assessing damage, and doing a number of other tasks at home. That may not come as much of a surprise to anyone who's been following drones in the past couple of weeks. Recently, Electronic Frontier Foundation published the list of public institutions and government agencies who had current or expired authorization to fly drones. Some applicants were obscure. Herrington, Kansas -- a town of 2,526 souls -- applied for authorization to fly drones. But 25 of the 62 agencies were institutes of higher learning, and many were surprised at how few agencies had applied for authorization. However, there's a buried lede in this story: universities aren't just developing drones, they're developing these drones in partnerships with other entities. This isn't happening in an ivory-tower vacuum. 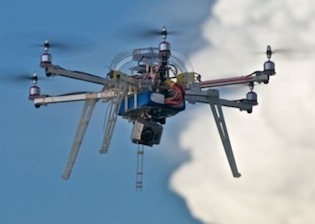 JournoDrone One outfitted with a small HD camera for aerial videography. The potential for these devices to capture live video from the sky, on the cheap, has generated interest from the television news industry. Although we’re several years away in terms of regulation and technology for making drones a feasible, low-cost platform for television news, the television news industry has started to talk about using drones to enhance coverage. Myself, along with Matt Waite of Nebraska’s Drone Journalism lab, were recently interviewed by the television news trade journal TV Technology. It briefly mentions DroneJournalism.org and our (unfortunately now departed) JournoDrone One (pictured above). Tom Butts, the writer of the piece and the editor in chief of the TV Technology magazine, focuses mainly on drones as a cheap alternative to manned helicopters for live news events. He also draws attention to how ethical or technical mishaps with drone technology could slow or prevent the adoption of drone technology in the TV broadcasting industry. For TV news crews, operating an “eye in the sky” means hundreds of thousands of dollars per year in aircraft maintenance and fuel costs. Using choppers also comes with inherent risks that have resulted in numerous accidents over the years. As stations look to save money while reducing safety concerns, some in the news business are beginning to examine the use of unmanned aerial vehicles to obtain highly valuable news coverage from above. While it’s a relatively new concept for journalists, the technology of “drone journalism” is familiar and extremely cost-effective when compared to traditional aircraft. In essence, drone journalism involves the use of remote-controlled small aircraft outfitted with cameras to acquire footage from the air. What defines “aircraft” could be anything from a toy helicopter purchased at the local mall to more sophisticated devices, and the camera could be a typical point-and-shoot to a more expensive DSLR with video capabilities. There’s just one problem. The use of such devices is illegal in the United States – for now, at least. Last month, as part of its latest budget, Congress gave the Federal Aviation Administration until 2015 to develop a set of rules and guidelines authorizing the commercial use of such remote-controlled unmanned aerial devices. And several researchers and entrepreneurs are exploring the technical – and perhaps even more important – ethical uses of these drones. 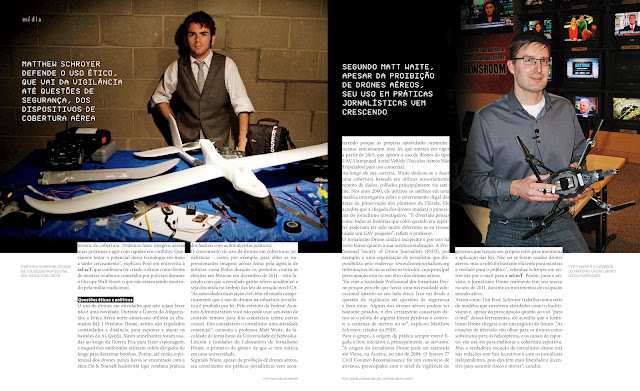 Matthew Schroyer, a drone and data journalist at the University of Illinois-Champagne [sic] created dronejournalism.org as a forum to discuss and share ideas about the subject and is developing a UAV dubbed the “JournoDrone,” based on designs from diydrones.com. 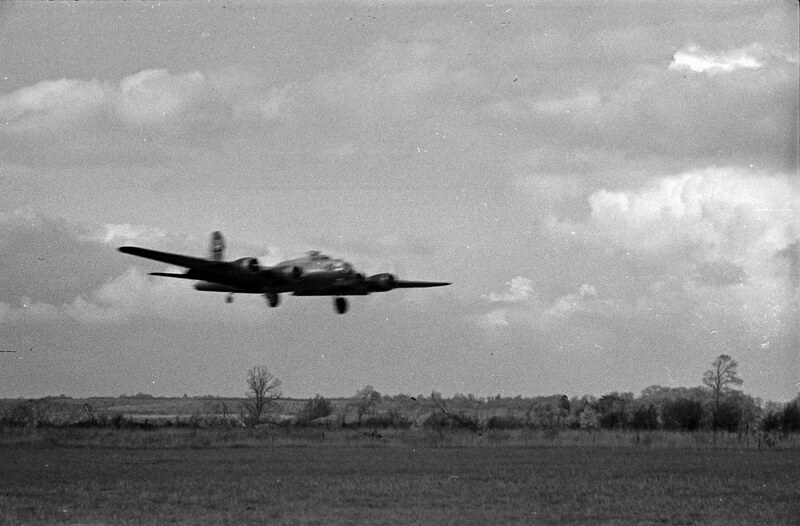 Schroyer is approaching the subject matter more from a data-gathering standpoint, using still photographs to stitch together maps from aerial surveying. Up until now, must of the public has become aware of drones through news reports about their use in military operations – and then only when something goes wrong. 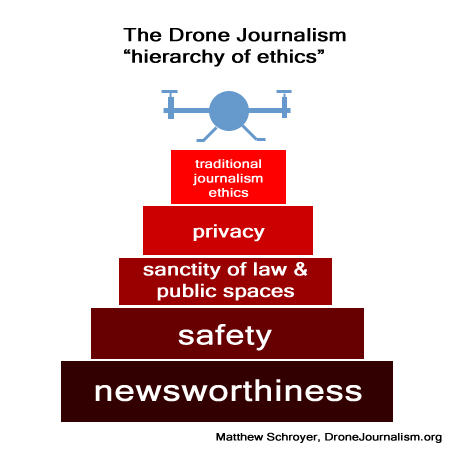 This has created a public relations problem that both [Matt] Waite [a professor of journalism at the University of Nebraska-Lincoln] and Schroyer believe could be compounded if the commercial use of drones is abused, specifically to violate people’s privacy. Meantime, I'll be delivering news on the status of JournoDrone One here and on DroneJournalism.org in the near future. That update will have information on our progress, where we're headed in the near future, as well as advice for drone journalists who are trying to develop their own drones. This week, I had the pleasure of talking about drones and drone journalism with Drone Journalism Lab founder Matt Waite, and the Joseph Paiva, the Chief Operating Officer of drone developer Gatewing, on Washington DC's "The Kojo Nnamdi Show." A lot of ground was covered in that hour-long show, but I wanted to re-cap and expand on a few of the things I said during the show. "I mean, that's one of the rules that says that you can fly under 400 feet away from built-up areas, away from airports, but it's not so clear as what recreation really is. Is that what a nonprofit is when they're trying to collect drone journalism? Is that what a organization who is trying to advocate for animals -- Is that what they're doing when they're flying a drone over a pigeon shoot in South Carolina? And so it is kind of debatable, and it's not really codified into any regulation at this point. " I'll explain. The FAA regulations as they are today provide a space for recreational drones to operate without special certification, and requires special certification for civilian commercial drones. Those UAS must operate under 400 feet and away from built-up areas and airports. But where do nonprofit, advocacy, and education lie on that recreational-commercial spectrum? Nowhere does the FAA provide a deffinition for recreation. 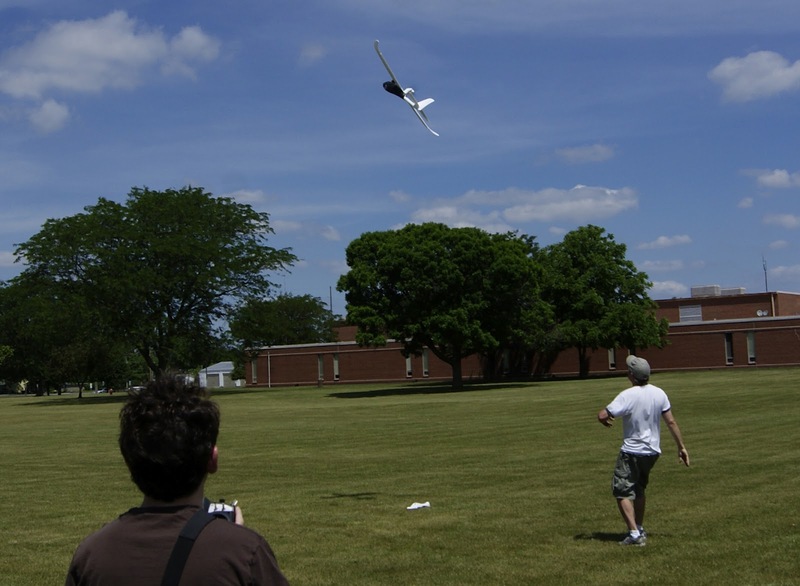 Some university researchers have been told they need a COA (Certificate of Authorization) to operate their experimental drones for educational purposes, which often times take months to process. Additionally, the FAA will not grant any certificate to anyone operating a drone for profit. After the show, I received a call from a reporter for a broadcast industry magazine, and I told him that it had been five years since the FAA regulations, and I didn't expect any regulations until the 2015 deadline. He sounded shocked, and asked for clarification. Five years ago, on February 13, 2007, FAA issued a decree, or "Notice of Policy," in the (Docket No. FAA–2006–25714; Notice No. 07–01) which essentially shut down all civil operation of drones (other than recreational/model activity) in the United States. That Notice of Policy for Unmanned Aircraft Systems said that in order to pilot a drone for anything but a recreational purpose, you need to obtain an airworthiness certificate in an experimental category for your UAS. This certification just the same as any other experimental aircraft, and is required regardless if you were going to fly your UAS under the exact same restrictions as recreational UAS: fly under 400 feet and away from "built-up areas." Even with this certification, you cannot fly the drone for commercial purposes (which would include commercial media). 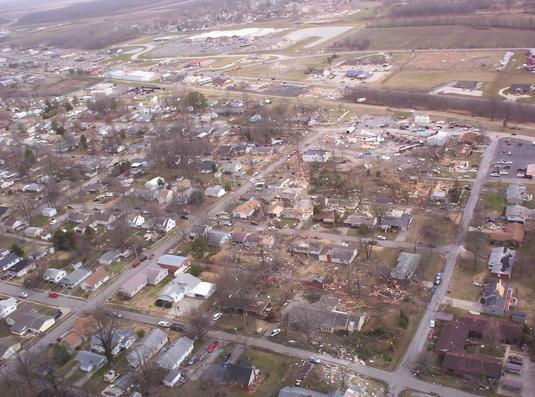 More than a year later on April 10, 2008, the FAA issued another decree. This established a small UAS Aviation Rulemaking Committee (ARC) to "conduct a formal safety analysis of small UAS, and then promulgate federal regulations for their design, operation and registration." What came out of that ARC? I don't know. Patrick Egan, from Remote Control Aerial Photography Association (RCAPA), was on that committee and said there was a "lack of comprehensive action." According to RCAPA president Rick Connolly, who Egan interviewed for sUASnews.com, "Even the members that were part of the process feel nothing came of it and all their hard work was put in the circular file." Then, in June, a new ARC (ARC 2.0) was created. sUAS News had to file a FOIA request to find out who was on the rulemaking committee and what its charter was. This time around, the ARC seems to be dominated by those. Of the 22 committee members who are not from the FAA, 11 are defense contractors, and there is only one who potentially represents the non-defense commercial drone industry. This has generated a level of skepticism and criticism from RCAPA and other commercial and recreational drone groups. Some news reports said that proposed rules would come out of ARC 2.0 by December 2011. That never happened. More than a year ago, the FAA grounded the multicopters of the media company MI6 Films, and told the news website The Daily that it could not longer use drones for its reporting. Meanwhile, ABC, the Australian Broadcasting Corporation, is now flying its own news drone, and MI6 has since found work in other countries. Australia had rules governing UAVs on the books since 2002. The inability to create a space for commercial drones is hampering not just journalism, but innovation that could spark economic growth in a time of economic stagnation. As I said on the radio show, the FAA has a tremendous burden on its shoulders. It has to make the national airspace safe, and it has to protect people on the ground from harm. That responsibility should not be taken lightly. However, that does not make the delays any less frustrating. And it does not make any less confusing the fact that you need special certification for a craft used for commercial or educational purposes, while the exact same craft can be operated for recreational purposes without any authorization whatsoever from the FAA. Inconsistency in regulations provide ample opportunity to misinterpret the rules. I mentioned on the show that a fixed-wing drone could potentially stay aloft for thirty minutes, up to four hours, and beyond. While it's true that a fixed-wing craft can stay aloft for longer periods than a multicopter, the multicopter is better at fulfilling other roles. Multicopters are uniquely gifted with the ability to hover in a fixed position for the entire duration of its flight. They are also better at negotiating obstacles and maneuvering in tight spaces, as they do not require forward momentum to provide them with lift. 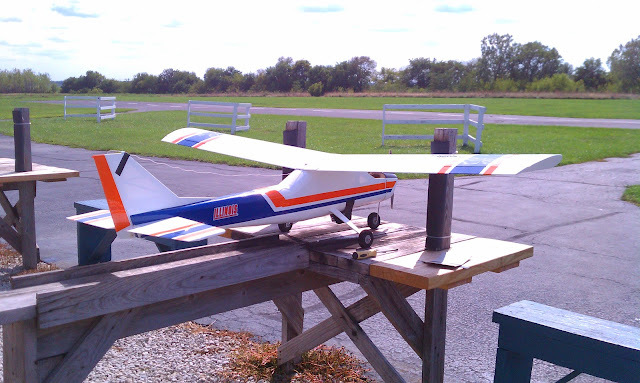 Relative to their overall size, multicopters are also able to lift a heavier load than their fixed-wing counterparts. They really are the ideal platforms for many aerial photography and filming applications. Balloons are another platform for aerial photography. They trump fixed-wing and multirotor craft for "loitering time," the amount of time the craft can stay above a desired target. Being a tethered aircraft, they are also less stringently regulated here in the United States, meaning currently you can use them legally in more circumstances than you would a multicopter or fixed-wing drone. They do have one shortfall, however, and that is they aren't nearly as mobile or controllable as their counterparts. They drift with the air current, and are only as mobile as the operator is able to re-locate the tether. Dronejournalism.org is pursuing multicopters, but our most complete project at the moment is a fixed-wing drone. That's because the fixed-wing drone is perfect for being able to photomap swaths of land. And with the proper equipment, they can aim a camera in such a way that it lessens the negative effects of circling above a target. In other words, the camera can pan, tilt, and zoom so that the direction the drone is heading at the time is nearly arbitrary. Recently, we started the motor on that drone for the first time. Weather has hampered our flying the drone for the time being. I'll leave you with video of that moment. It's filmed from the same camera (a GoPro2) that we'll be mounting to to the drone in the future.